The Asus Eee PC is a netbook computer line from ASUSTeK Computer Incorporated, and a part of the Asus Eee product family. 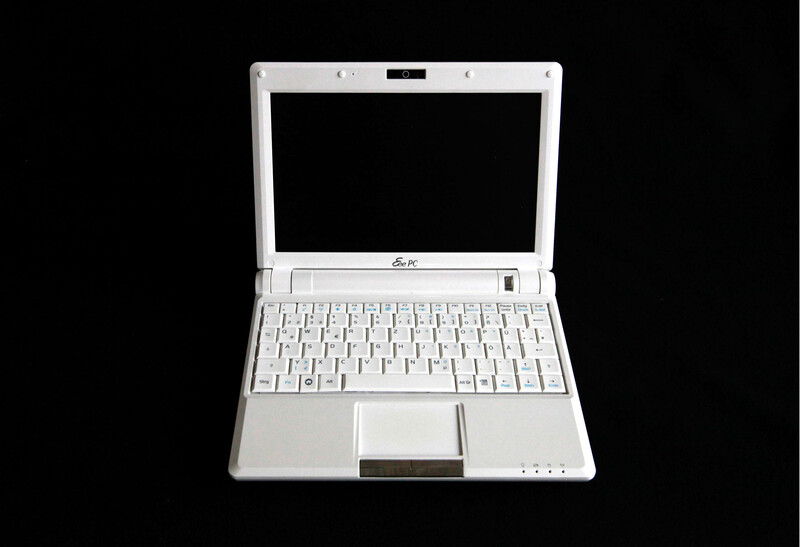 The first Eee PC was a milestone in the personal computer business, launching the netbook category of small, low cost laptops in the West. According to Asus, the name Eee derives from "the three Es", an abbreviation of its advertising slogan for the device: "Easy to learn, Easy to work, Easy to play�. The Eee 900 series has a multi-touch trackpad allowing two-finger scroll and zoom via a "pinch" gesture, and is available with Linux and/or MS Windows XP configurations, depending on the market. This Intel Atom version is named the EeePC 900a and comes with an 8GB or 16 GB SSD. Some of these Eee PCs also have a 4 GB SSD installed similarly to that in the 701 for a total storage space of 20GB.